Three-Day 25th Annual I Madonnari Italian Street Painting Festival Starts This Weekend in S.B. 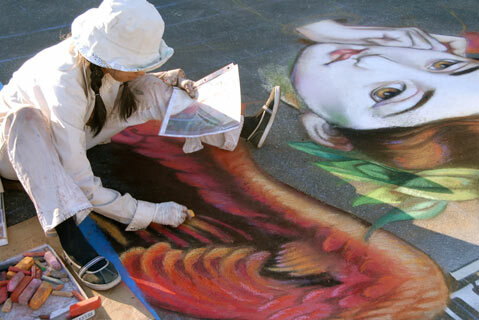 This week at the 25th Annual I Madonnari Italian Street Painting Festival, attendees will watch artists create street murals up to 30 feet in size, and will enjoy live music, kids’ entertainment, and an Italian market. The three-day fest runs from 10 a.m.-6 p.m. this Saturday-Monday, May 28-30, on the steps of Old Mission Santa Barbara (2201 Laguna St.). Call 964-4710 for more info.